Facial rejuvenation is one of the best non-surgical treatments for reducing lines and wrinkles caused by facial expressions such as frowning and smiling. This treatment is used to temporarily reduce the movement of facial muscles which cause facial lines and wrinkles. We are highly experienced in Facial rejuvenation treatments so rather than freezing your facial muscles we restore your face to a more youthful, frown free appearance, giving a subtle yet effective lift to the affected areas. Facial rejuvenation The injections are virtually painless and the results are visible within 2-3 days, and last for 3-4 months. We also provide treatments using dermal fillers, to reduce deeper lines in the lower and mid facial areas. Please speak to one of our team if you require further information. 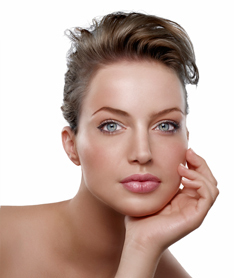 Feel Free to Contact Us now to get your Facial Rejuvenation Treatment to resurface your skin .